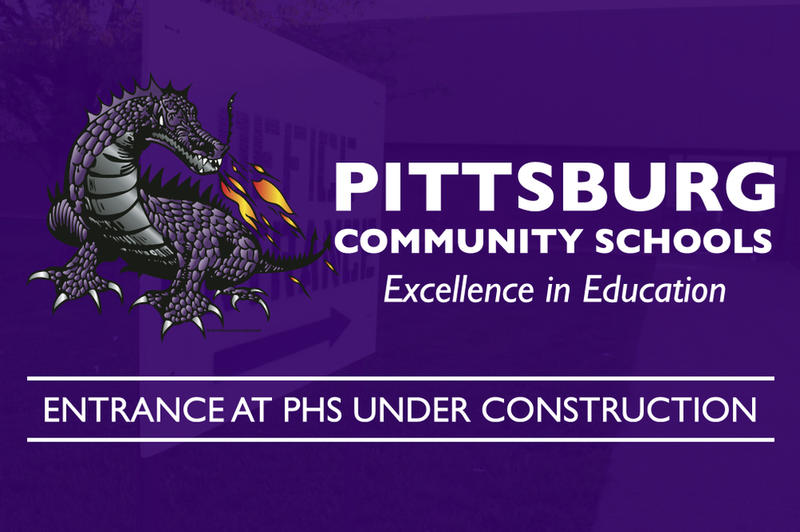 Due to construction work being done at the current entrance, starting Monday, May 7th, all students and visitors will need to enter Pittsburg High School at the south entrance, which faces the main parking lot. A sign out front also indicates the alternative entrance. This will be used until further notice. We are sorry for any inconvenience but look forward to the progress this starts toward an improved campus.